While sitting outside in the sunshine earlier, we found an actual real-life Hexbug! A little research suggested that it is, in fact, the lava of the much-malined Harlequin Ladybird. This species is non-native and has increased in numbers considerably in recent years, threatening the survival of many species of native ladybirds. It still looks like a Hexbug, though, which amused us all the same! 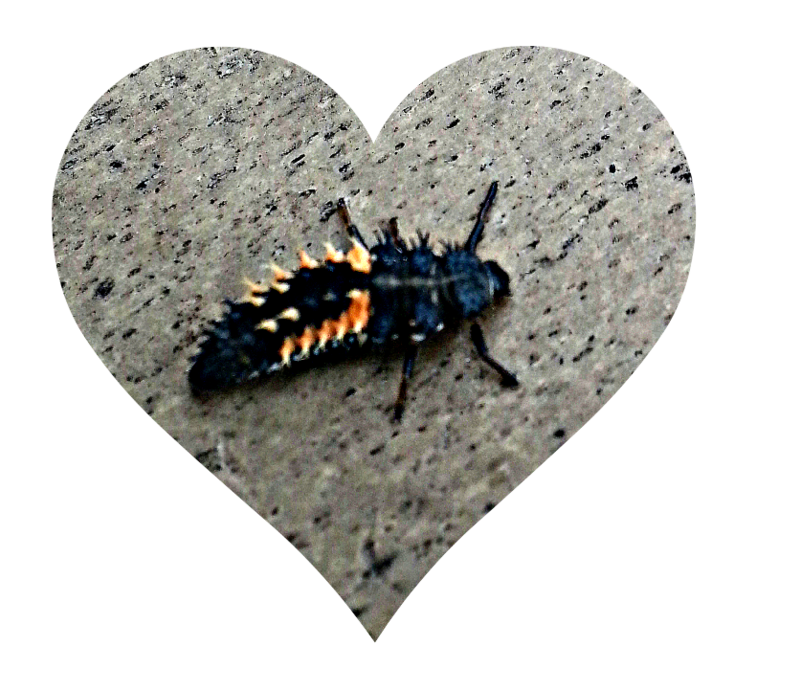 I've put the photo in a lovely, calming heart, in case anyone is freaked out by bugs. Hearts make everything seem friendlier!